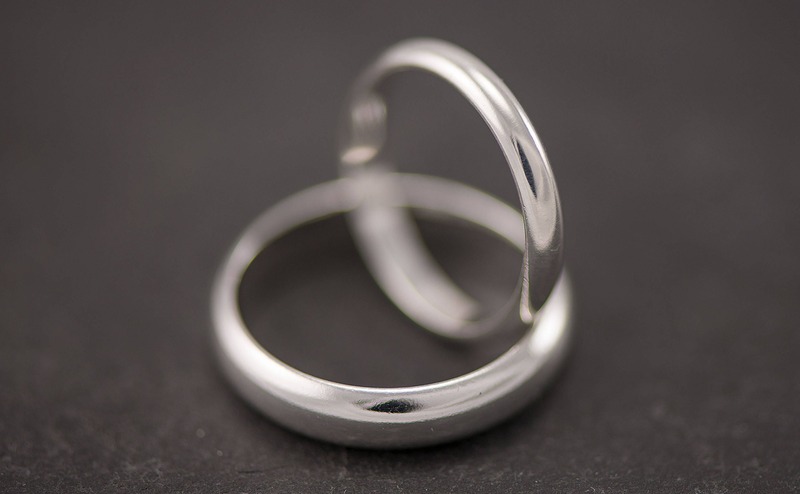 Wedding Band Set, Wedding Rings, Silver Wedding Rings. 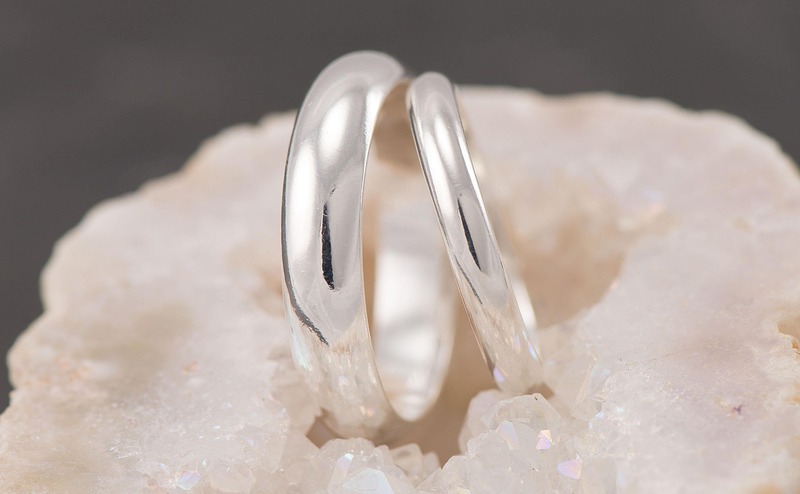 This listing is for a set of 2 wedding bands. 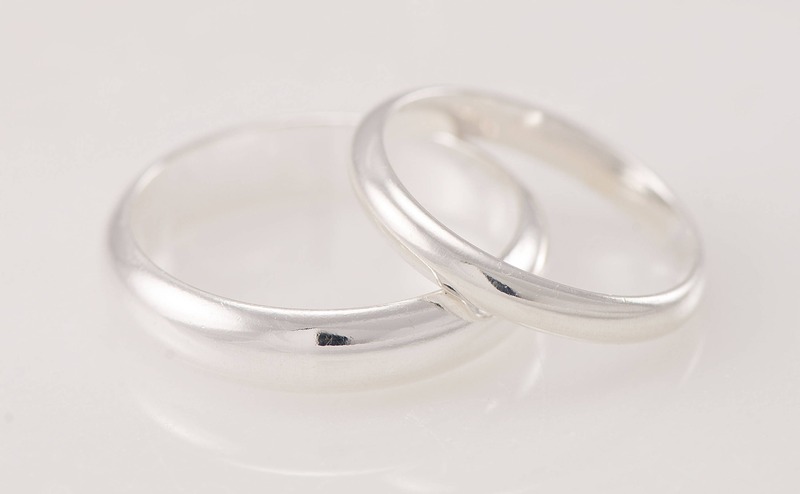 The wedding rings are made of Solid Sterling Silver. 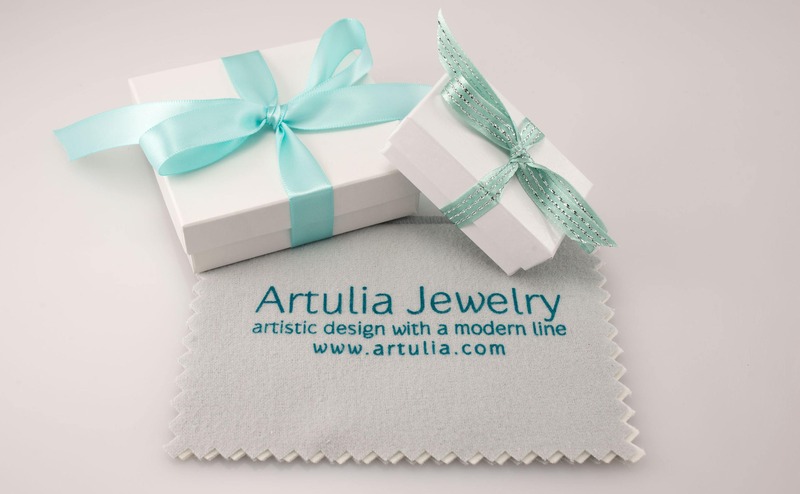 Thin Band measures 3mm wide, Wide Band is 5mm wide. 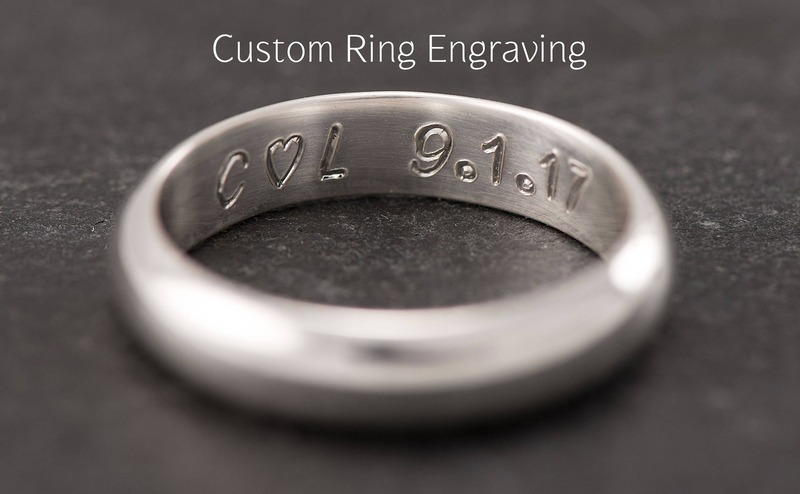 Custom Engraving available on the inside of the wedding bands for an additional $25 (see below for details). 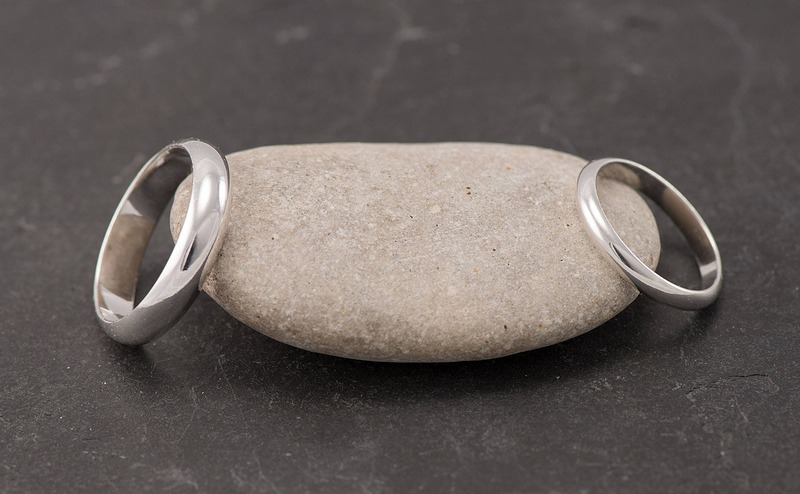 Please specify finish (polished, matte-brushed, or hammered) in the "message" box during checkout. 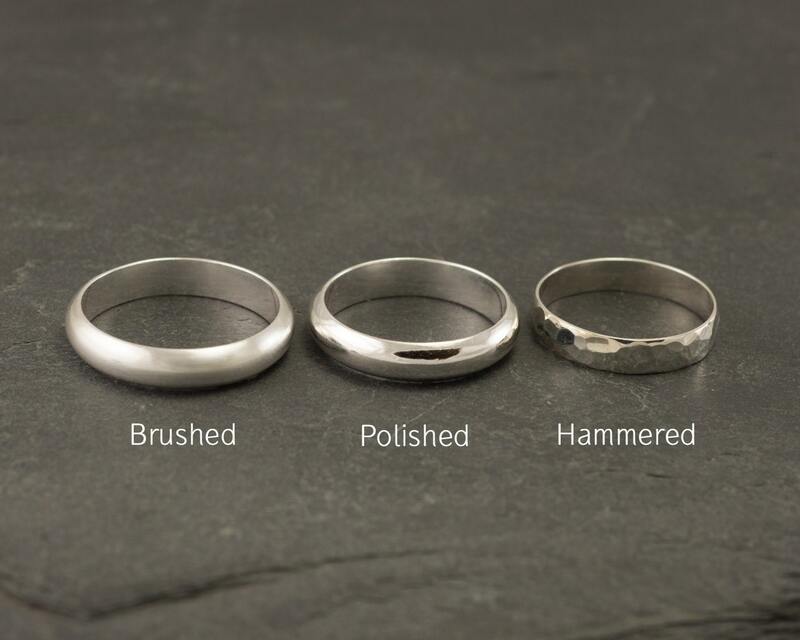 If you do not indicate otherwise, this set of rings will come in the shiny polished finish as shown in the first 4 photos. 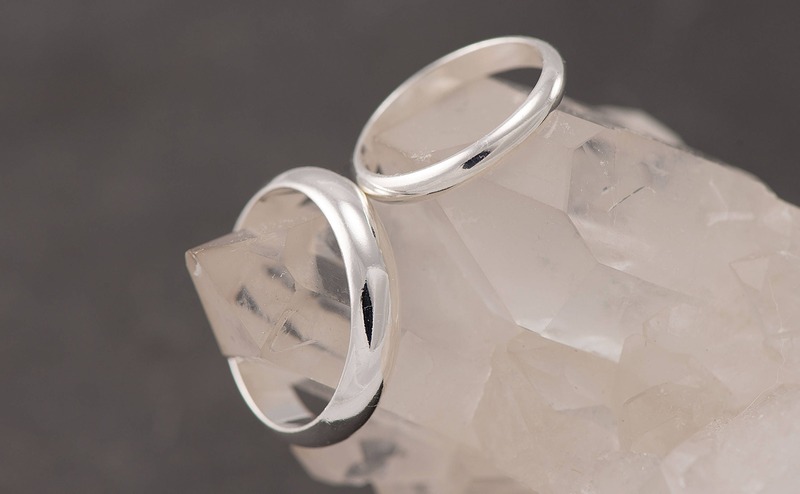 Needed to exchange the size for the mens ring, meghan was so very helpful, kind, curtious and quick to deliver it, even sending it priority mail with no extra charge so it could get to me before my wedding day! The rings are beautiful, and the way she handles business is proffesional and also with a caring touch, more businesses and people alike could learn a thing or two from her. Thanks again Meghan! Love this band! I’ve been looking for reasonably priced bands and kept ending up with one that would turn my finger green or itch like crazy! This is EXACTLY what I was looking for. 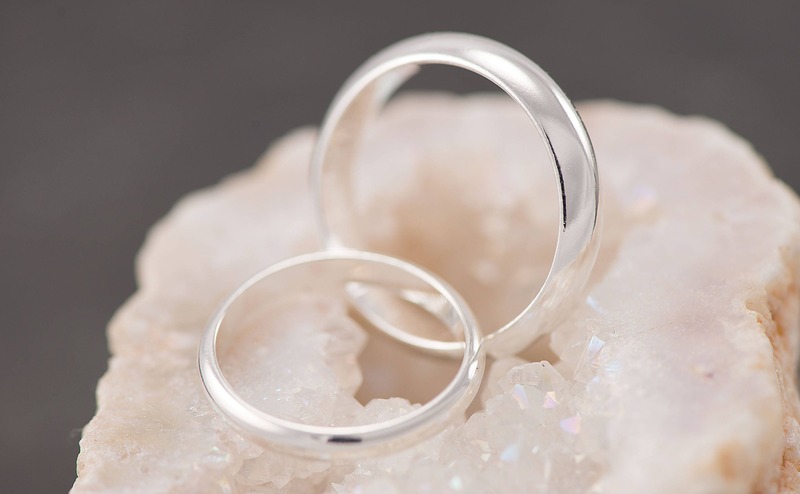 We just received our wedding bands and we absolutely love them! 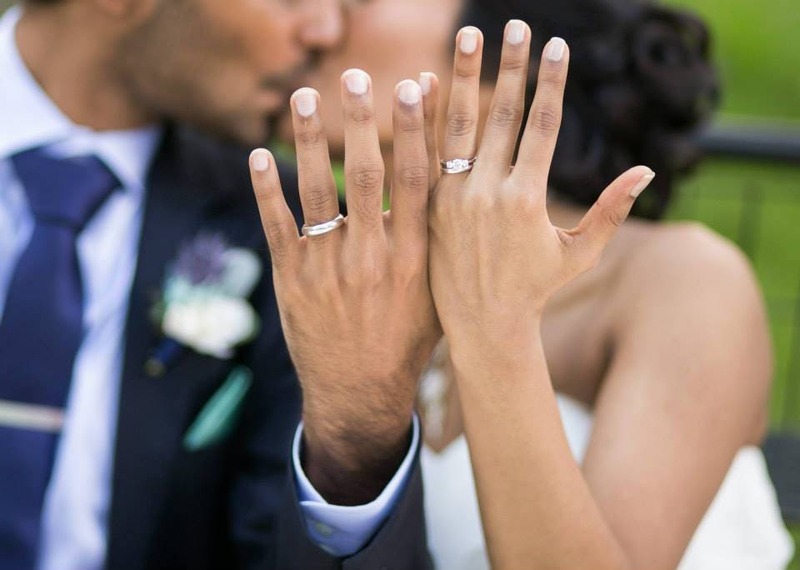 Beautiful wedding bands, they are everything we hoped for! Thank you!